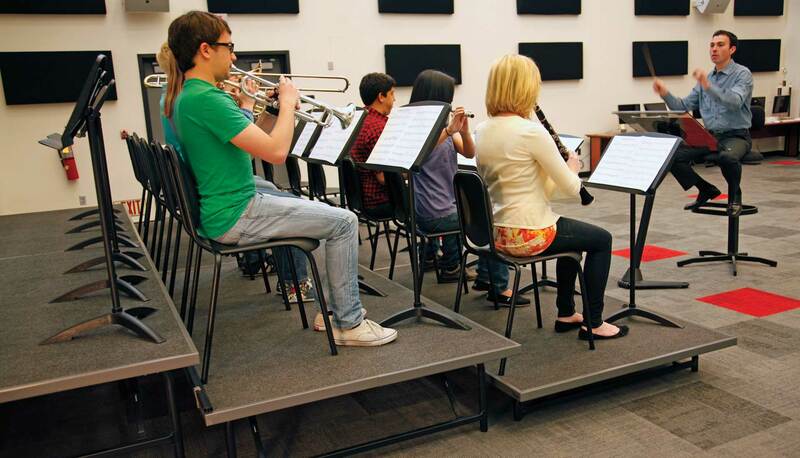 Wenger Music Posture Chair design redefined what a music chair should be by providing the seated musician with the same strong, natural posture as if they were standing. 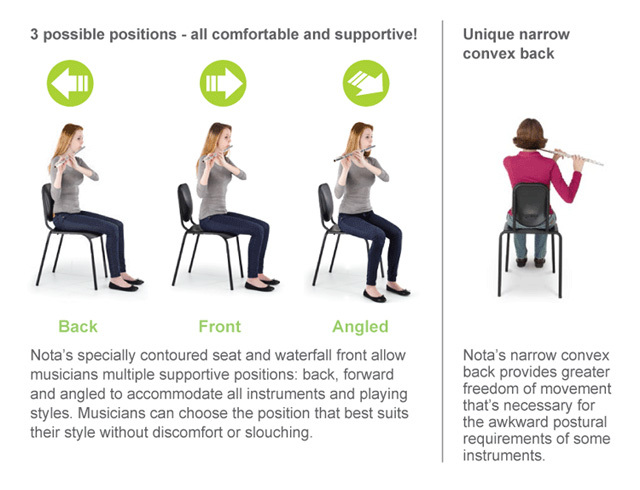 Nota takes that concept to the next level, providing rear and forward seating positions that allow musicians to sit in the manner that best suits their style and instrument. Features a narrow convex back that provides lumbar support while still allowing freedom and range of movement, and a rounded waterfall front that provides better circulation and comfort for a wider range of body sizes. Nota popularity is growing fast because there’s no other chair like it and it’s built to work and look great for the long run. Evolutionary Design – Wenger’s unmatched depth of knowledge of proper music practice and performance led to this patented design. 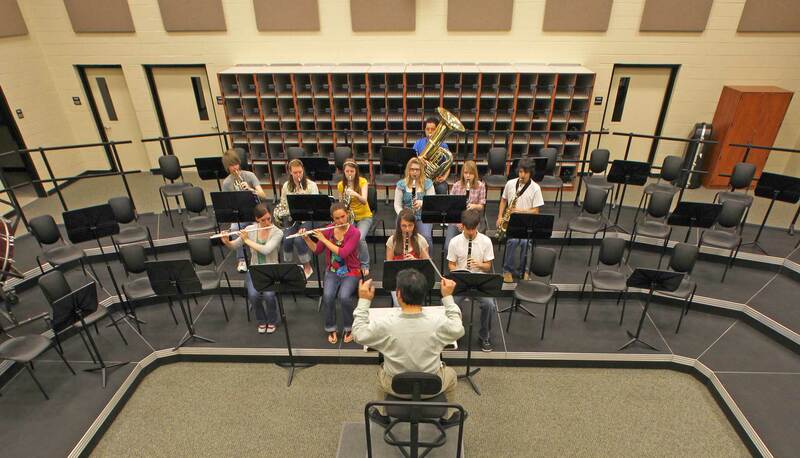 Healthier Musicians – Enhanced posture design encourages proper alignment in a variety of seated positions. 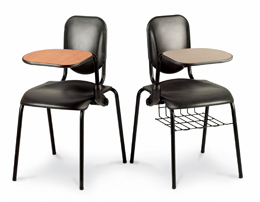 Facilitates Improved Performance – Proper alignment in multiple seating positions enables greater focus on technique. 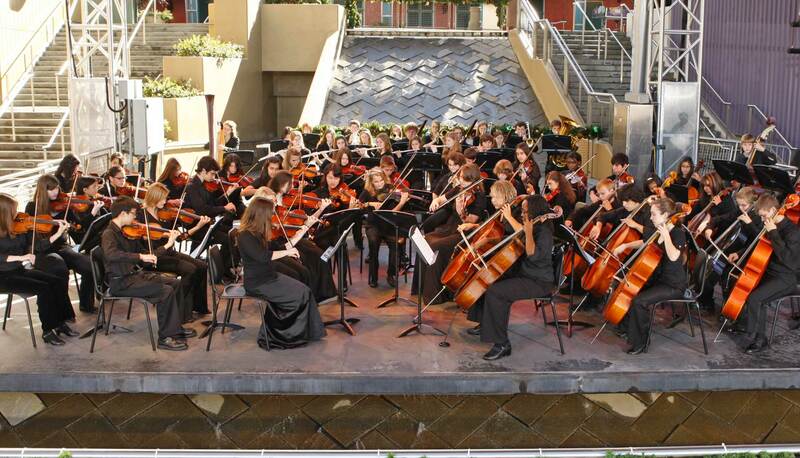 Better Protection of Musical Instruments – The rounded and refined design is not just for a unique aesthetic, it also helps protect valuable instruments from scratches. 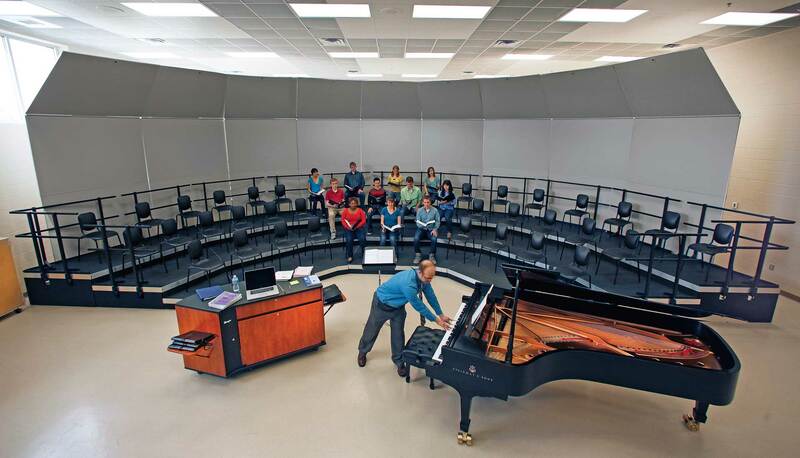 Options for Every Program and Environment – Available in a variety of colors, heights and finishes. A complete line of accessories are also available. 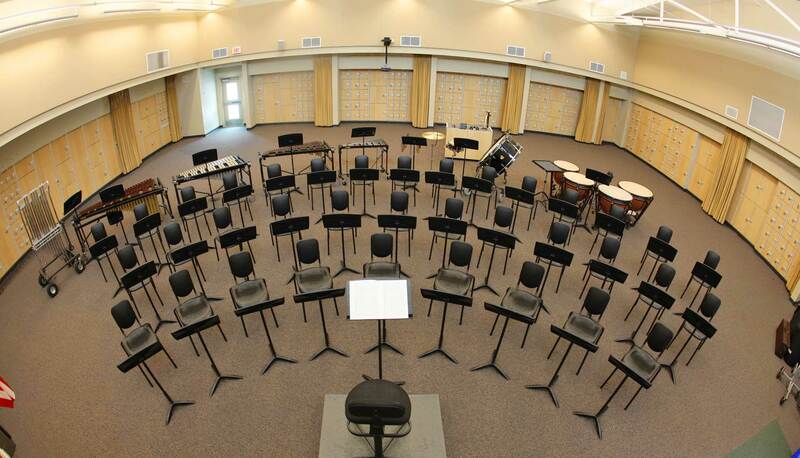 Due to the variation in body shapes and sizes, Wenger recommends purchasing a mix of different height chairs in order to accommodate all of your musicians. 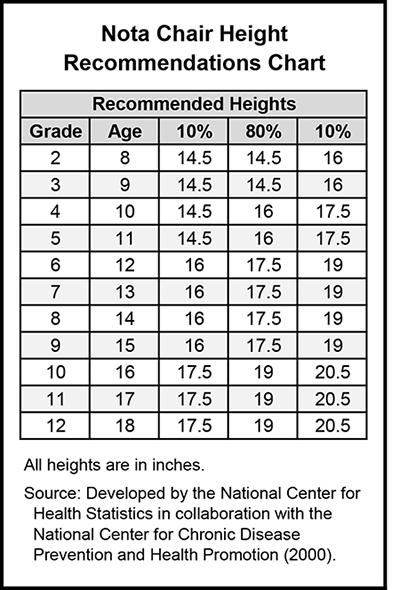 In most cases, the 80/20 rule applies and classrooms that have a large number of students, should purchase 80% of the mid-range height and 10% of the higher height and 10% of the lower height. 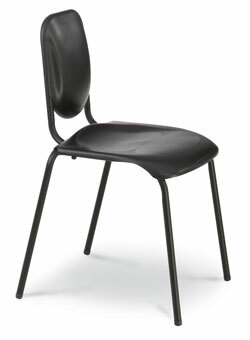 Please contact your Wenger representative for further information on chair heights and recommendations. Choice of four desk colors. Edging and arm are black. Assembly required. Tablet arm prohibits chair stacking. I find the Nota chairs very comfortable — I really like them. As a singer, I prefer to sit on the front of the chair, but sitting against the back is also very comfortable. 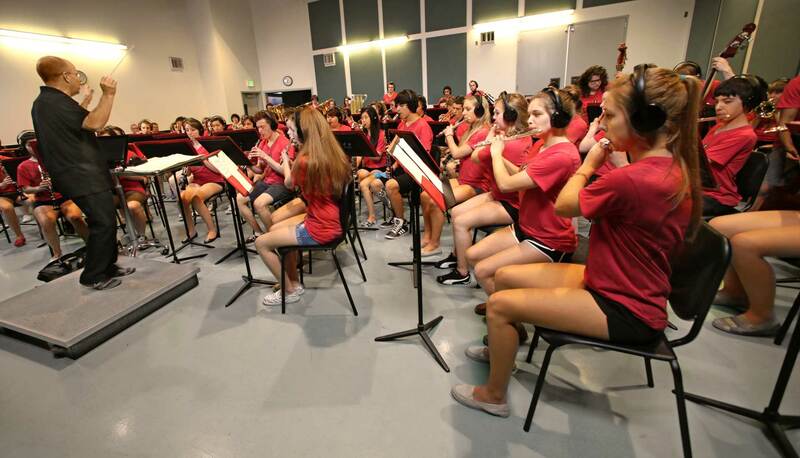 I think band students appreciate them even more than choir students, with flute players and other musicians who prefer to have their elbows free. Size: 14½" (37 cm), 16" (40.5 cm), 17½" (44 cm), 19" (48 cm), or 20½" (52 cm) seat-to-floor frame height. Frame finish: Black or Chrome. Seat/back: Choose from colors shown. Samples are available upon request.